For devotees, a trip to Mt. 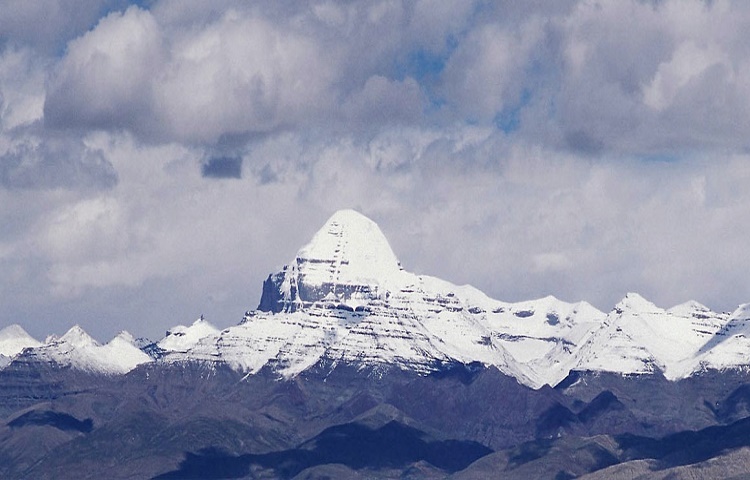 Kailash and Lake Mansarovar is an ultimate realization of their spiritual hobby. And it presents rare beauty, remoteness and isolation for adventure enthusiast. Mt. 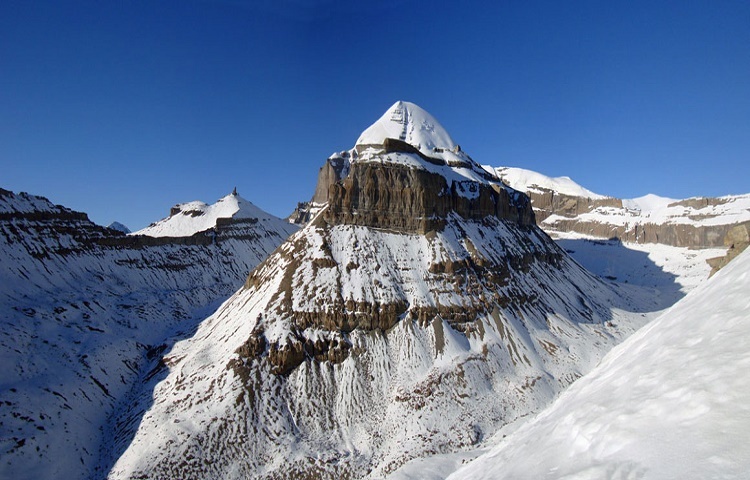 Kailash Yatra by Helicopter is the best and most convenient way to visit this spectacular mountain in shot time period. According to Hindu mythology, Mt. Kailash is the sacred adobe of Supreme Lord Shiva like other Hindus god and Shiva character is always on apex. 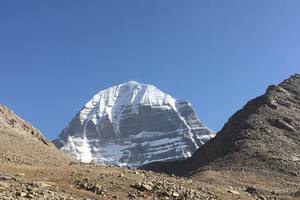 Hindu believes that the visit to Kailash is to attain release from the clutches of ignorance & delusion of life. Likewise, Jain calls the mountain Astapada and believe it to the place of Rishaba and Ban calls it the ountain of Tise and believe it to the adobe of Sky Goddess- Sipaimen. The scenic trip in chartered helicopter covers the major part of the Mt. 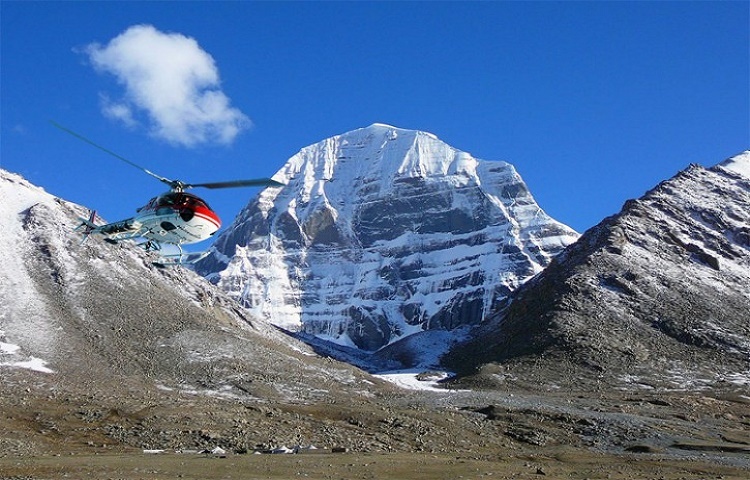 Kailash Trip by Helicopter package. We catch a regular flight to Nepalgunj and then to Simikot, the district headquarter of Humla. Then, we make heli-trip to Taklakot- Nepal/Tibet border and start our overland tour to Mt. 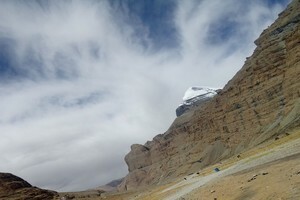 Kailash and Mansarovar. 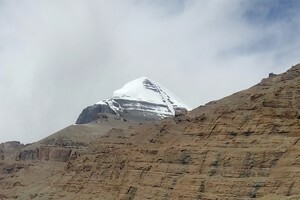 After difficult overland trip to Mount Kailash Mansarovar and getting perimts, we will embark for equally arduous task of circumambulation the sacred mountain. Hindus and Buddhist circumambulates in clockwise direction whereas Bon follow takes a loop counterclock direction. We take holy dip on Lake Mansarovar and perform religious ceremony. Further, we drive to Darchem, the base camp of Mt. Kailash and start 3 day of strenuous trekking to Mount Kailash. After Kora at Mt. Kailash, we drive back to Talakot and fly back to Simikot via Helicopter chopper. We catch a regular flight to Nepalgunj and further back to Nepalgunj. Do not overload your bag because in Helicopter only 10 Kg allow each person. Day 04: Taklakot-Free Day for Acclimatization. Day 09: End Kailash Kora. Drive back to Taklakot (Purang). Day 10: Taklakot-Hilsa-Nepalgunj-Kathmandu(You can drive Nepalgunj to Lunknow as well, If you have flight from Lucknow). 02 Nights Hotel Accommodation in Kathmandu.03/04 Star Hotel with vegetarian meal. 01 Night Hotel Accommodation in Nepalgunj with vegetarian meal. Arrival at Tribhuvan International Airport in Kathmandu Nepal,leaf holidays Trek Pvt.Ltd’s representative will welcome you at airport and transfer to the hotel. Check in to the hotel and evening short briefing about your tour. Dinner at Hotel. Overnight stay at Hotel in Kathmandu. After your breakfast at hotel we drive for sightseeing in Kathmandu, Including Pashupatinath Temple (The Biggest Hindu Temple) and Guheshwori Devi and Lunch at hotel then drive to Tribhuvan International Airport (Domestic Terminal). Fly to Nepalgunj. Check in to hotel and rest. Overnight stay a Hotel in Nepalgunj. After an early breakfast at Hotel we drive to Nepalgunj Airport for the fly to Simikot it is 45 Minutes flight then proceed to Hilsa by chartered helicopter flight. After arrival at hilsa we will take lunch at hotel after lunch we cross Nepal/China border and drive to Taklakot(Purang) by Chinese bus. Overnight stay at Hotel in Taklakot. Whole day for acclimatization, visit Taklakot City and Rest. Overnight stay at Guest House in Taklakot. After Breakfast we drive to Manasarovar Lake. 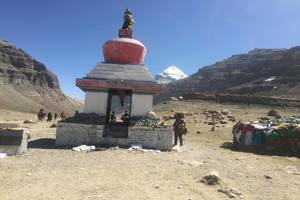 Today is the very special day because you are going to Have Darshan of the Holy Mt.Kailash and Manasarovar Lake., we will provide you pack lunch in between. You will have parikarma of Manasarovar lake by bus.. Overnight stay at Guest House in Manasarovar. In the morning we will have special puja and bath in Manasarovar. 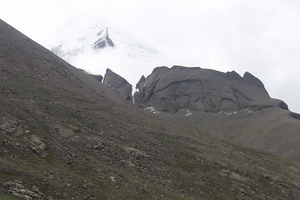 We will find the special point to take dip in Manasarovar and do puja of lord Shiva. Then Drive to Darchen. Overnight stay at hotel in Darchen. After an early breakfast we drive to Tarboche Yamdwar Darshan & Start Parikarima (Those who do not wish go for parikarma can back to Darchen after puja at Yamdwar). It is about 12 Km and it will take 05 to 06 Hours. We will provide you pack Lunch in between. Overnight stay at Guest House in Derapuk. 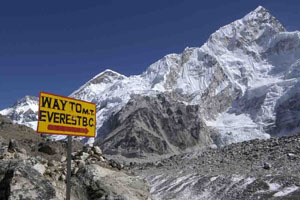 Today we will wake up very early in the morning and have breakfast then we will start our trek. Hardest day but Holiest day too of your pilgrimage trip with Dolma-La pass of 18600 Ft between two valleys. Yamasthal should be crossed to reach the Shiva sthal, there is the symbolical death, pilgrimage leave old clothes, spin of hair or a drop of Blood in hope, that terrible Yamraja (The master of death) will attention to these signs and will allow the Yatries (travelers) to be born in spirit to pass Dolma- La.After crossing Dolma-La descent steeply to get to the banks of the Lham-chu Khir River. We will follow the river and get to the Khando Sangam La facing the eastern side of Mt. Kailash. Sometime after that, we will be at the village of Zuthulpuk. In between we will provide pack lunch. And dinner at guest house. Overnight stay at Guest House in Zuthulpuk. After an early breakfast at Guest House we will be exploring the caves and temples around the Milarepa cave then 3 Hours walk to complete our Kailash Parikarma and drive back to darchen. Lunch in darchen and drive back to Taklakot(Purang). Overnight stay at Guest House. After an early Breakfast at Hotel in Taklakot,We drive back to hilsa and fly back to Simikot by Helicopter and fly back to Nepalgunj. And in the evening fly to Kathmandu. Overnight stay at Hotel in Kathmandu. After Breakfast at Hotel. Check out hotel and Alpine Kailash Trek Pvt.Ltd’s representative will take you to the Tribhuvan International Airport for your final departure.